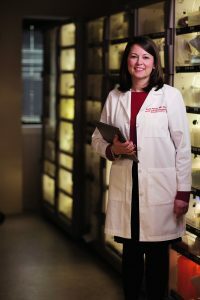 Beth Riley, MD, medical oncologist and deputy director of the University of Louisville James Graham Brown Cancer Center. 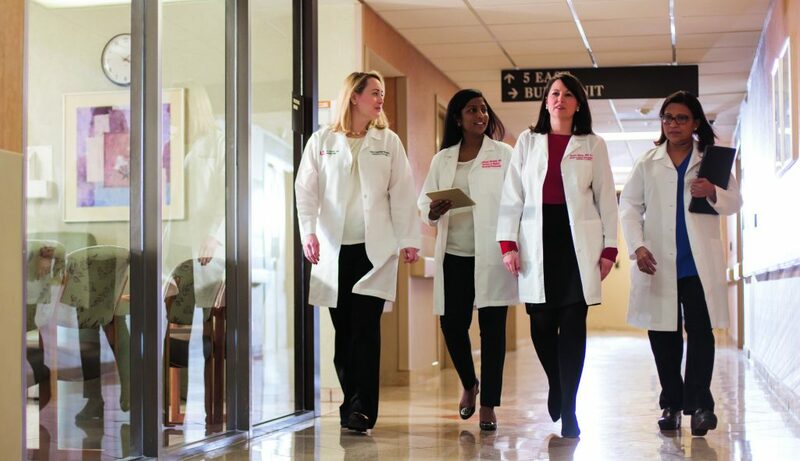 LOUISVILLE When medical oncologist Elizabeth Riley, MD, noticed she was seeing more breast cancer patients under the age of 45 than when she first started practicing, she was curious about why. Through those research questions, Riley, a medical oncologist and deputy director of the University of Louisville James Graham Brown Cancer Center (JGBCC), found that women under age 45 had unique needs that weren’t being addressed. In 2017, she created a new program at the JGBCC called HER, an acronym for hope, empower, and restore. When she conceived of the idea, the oncologist solicited input from her younger patients, who proved helpful in planning, strategizing, and prioritizing what the program should concentrate on. One patient, who is an artist, designed the program’s logo. Women with breast cancer under 40 can present distinctive clinical challenges. Since many have not yet received a mammogram, Riley says their cancers are diagnosed at a later stage and require more treatment. She goes on to explain that often there can be a delay in diagnosis because a breast mass in a woman under 40, nine times out of ten, is not going to be cancer. Doctors may go through other diagnoses before a mammogram screening. Lastly, if they do get an early screening, with the particular breast density common in this group, a mammogram alone may not be enough. Once diagnosed, a challenge with this cohort is how to undergo fertility treatment safely, but in a timely way, considering that the In-Vitro Fertilization (IVF) or ovulation induction cycle may take three to six weeks. The question of fertility for women after breast cancer treatment is whether they can have IVF, considering that they often need five to ten years of post-cancer medication. “The benefit of aligning this program with a reproductive endocrinologist is that she is knowledgeable about how to start an abbreviated induction in these women to preserve some eggs or embryos, and also treat breast cancer in a timely way,” states Riley. The HER program provides Riley the platform to discuss with patients what sort of risk-benefit scenario they’re willing to accept and what could be added to their regimen that offers a degree of benefit but preserves fertility. For the second year, HER hopes to establish a community-based event, such as a luncheon or educational forum, where these younger female patients can share the unique experiences they are going through with cancer. The title HER (Hope-Empower-Restore) encapsulates what Riley hopes the program can give to younger women.